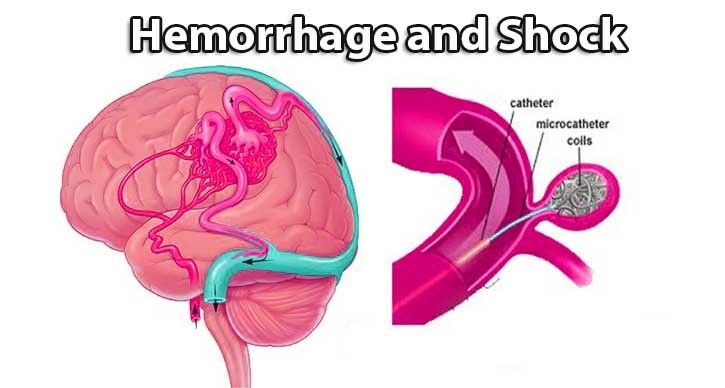 List three methods of controlling external hemorrhage. List the three steps for pre-hospital treatment for internal hemorrhage. List ten Signs and symptoms of shock. List the five steps for pre-hospital treatment of shock. What is a hemorrhagic shock? Hemorrhagic shock is a situation of reduced tissue perfusion, resulting in the insufficient delivery of oxygen and nutrients which are essential for cellular function. Whenever cellular oxygen demand outweighs supply, either the cell and the organism are in a state of shock. The heart is a hollow muscular organ. The left side of the heart receives the blood coming from the body and pumps it to the lungs for reoxygenation. The right side of the heart receives the oxygenated blood coming from the lungs and from there is pumped through the whole human body. Arteries are blood vessels that transport the blood to the body. They are of different diameters, ranging from very thick (aorta, femoral), to medium (radial) and small (arterioles). Arterial bleeding is characterized by red to yellowish color. vessels that carry blood back to the heart Veins do not have as much pressure as the arteries. Venous bleeding is characterized by a blackish-red color. With external hemorrhage, the wound and loss of blood are visible. Arterial: In which blood lose from Arteries causes Hemorrhage. Venous: In which blood lose from veins causes Hemorrhage. Capillary: In which blood lose from Capillary causes Hemorrhage. Immobilize extremity. Fractures may cause tissue damage. Immobilization can quickly control the hemorrhage associated with the injury blood vessels. It can result in the loss of the extremity. DANGER: Using a tourniquet can cause damage to the nerves and blood vessels. It can result in the loss of extremity. Internal hemorrhaging can range from minor importance to a major life-threatening problem. The loss of blood cannot be seen in internal bleeding. Maintain an open airway and provide high-flow oxygen per local protocol. Keep the patient warm, but be careful not to overheat him/her. Report the possibility of internal bleeding as soon as more highly trained EMS personnel to arrive at the scene. Definition: The circulation of blood throughout an organ. An organ is perfusing when oxygenated blood is entering through the arteries and is exiting through the veins. Perfusion maintains the cells in the organ by giving them oxygen and other nutrients and by removing waste products. If perfusion fails, it will result in the death of an organ. See Oxygen Therapy. Definition: Failure of the Circulatory system to provide adequate oxygenated blood supply throughout the body (inadequate tissue perfusion). Severe loss of blood; insufficient blood in the system. Excessive dilation of blood vessels. Blood volume will be insufficient to fill them and shock will develop. Any of the above can causes oxygen insufficiencies in the body’s organs. There are different types of shock but the end result is the same: inadequate perfusion to the organs. There is nothing the first responder can do to reverse the late stages of shock, but it is possible to keep the patient from deteriorating until a higher level of help arrives. 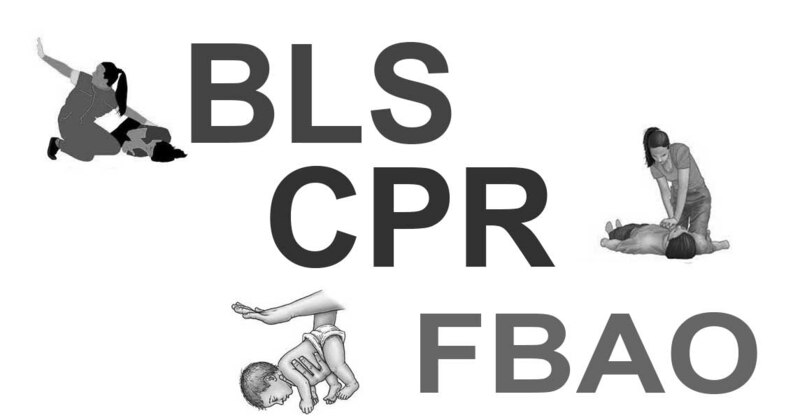 It is of utmost importance that the patient is evaluated and treated to prevent the onset of shock. Maintain an open airway. If breathing is inadequate, administer oxygen. Prevent further blood loss (by using direct pressure elevation or pressure points). Elevate the lower extremities 20-30 cm. only if there are no suspected spinal, neck, chest or abdominal injuries. If anyone these injuries are suspected, keep the patient supine (face up). Keep the patient warm, but do not overheat. 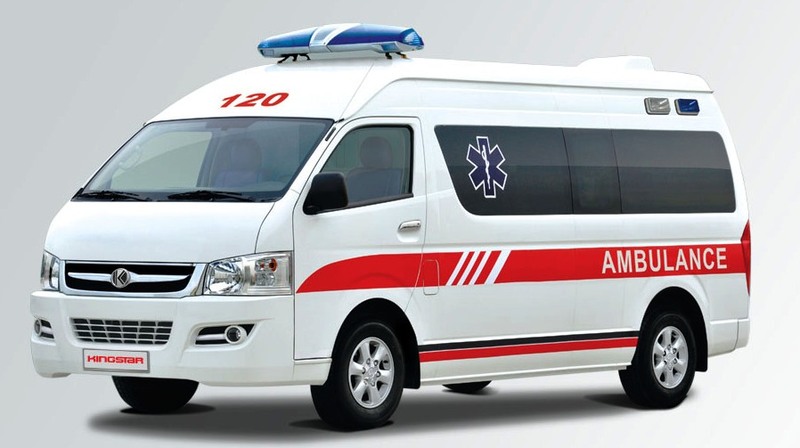 Provide care for specific injuries.